Back to School Resources for the Kiwi classroom! Ease into term one’s routines with these handy (and FREE!) ‘first week of school homework sheets’ – perfect for getting to know your new class and their families a little better. It includes a one page print out for the children in your class to complete, plus a double sided sheet for their parents/caregivers. ‘First week of school’ homework sheet for your new students! I have never failed to be amazed at the amount of new information I learn from these sheets – it’s always interesting to compare the child’s sheet, with their parents and also their previous teacher’s reports. I recommend printing and keeping a few extra copies on hand for any new students that arrive during the year. This simple FREE printable is our most popular download – 60,000+ downloads to date! You can find this instant download here – I hope you find it useful! 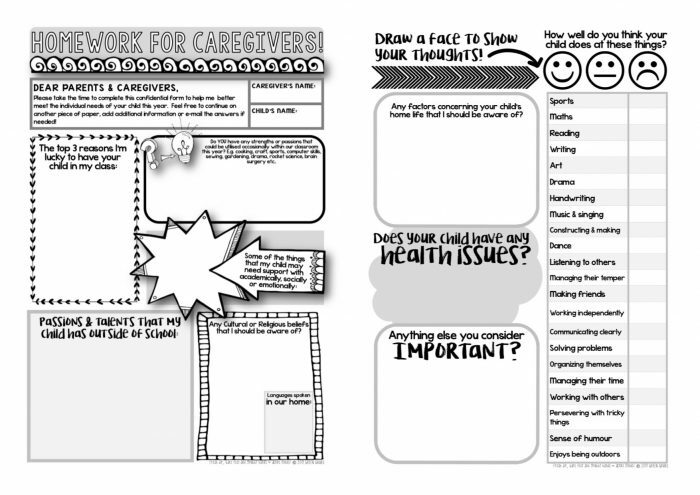 Print the parent/caregiver version double sided to save paper! 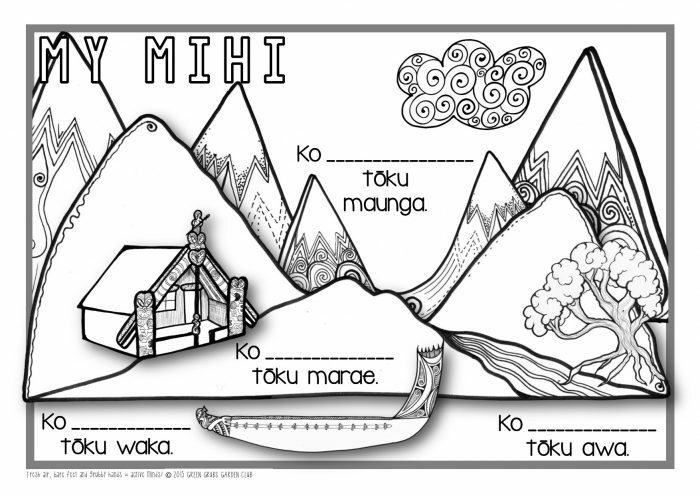 Find our FREE Mihi/Pepeha here! Another great ‘getting to know you’ activity for the start of the year (which forms an interactive wall display) is using the standard A2 classroom wall maps, labels and string to link children’s names to places they went on holiday (or maybe countries/towns where they have relatives or were born) I always found it useful to have an NZ map, plus a world map on hand as you’re never quite sure where this activity might lead you! *link to our Map Labels resource in the caption below! 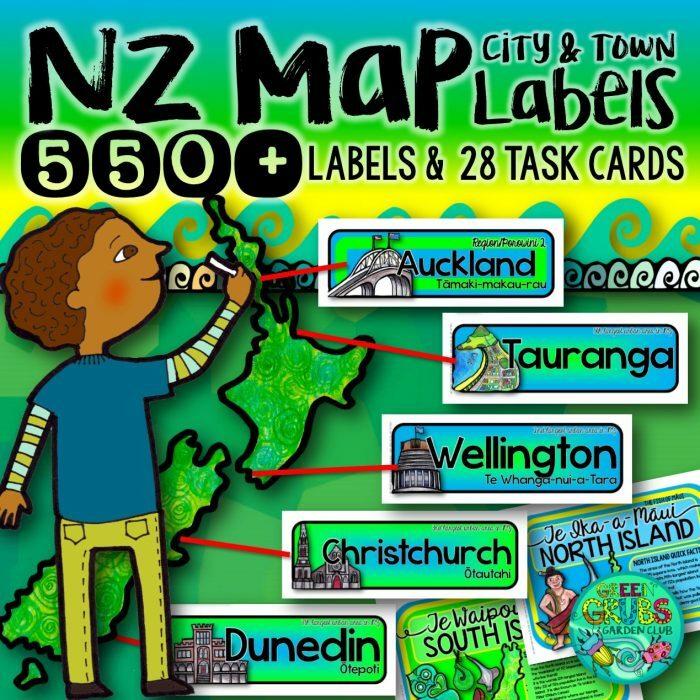 You can find our Map labels resource in our store here! Setting up your classroom this month? You might want to have a peek at some of the other kiwi themed ‘back to school’ resources in our website store (tab at the top) to help you bring a splash colour and fun learning to your classroom. Have a smooth and productive start to the new school year guys! 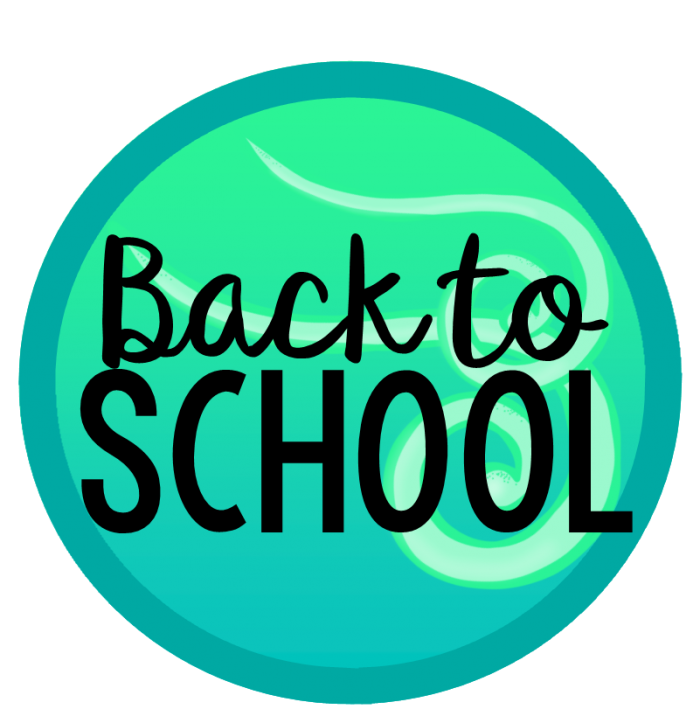 You can find our full ‘back to school range’ here!